Alright, admit it. You have a certain fascination with mirrors. There is something magical about a pristine reflection of yourself, your house and whatever it is that you love. 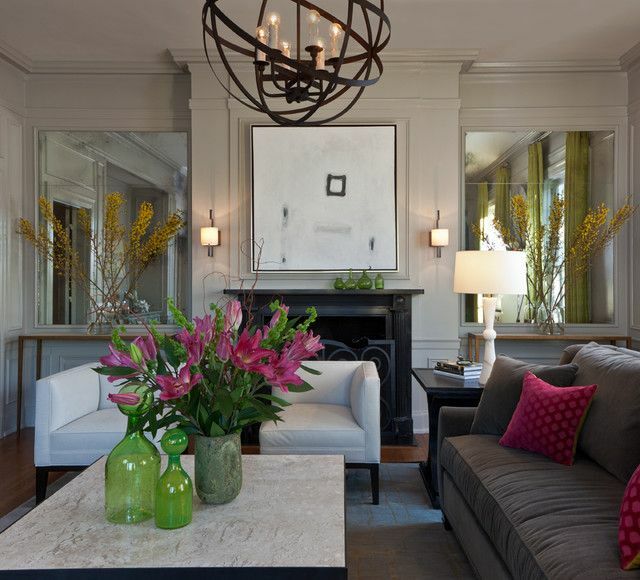 When you hang a new mirror or lean it up against the mantel, your comfortable abode instantly comes to life. 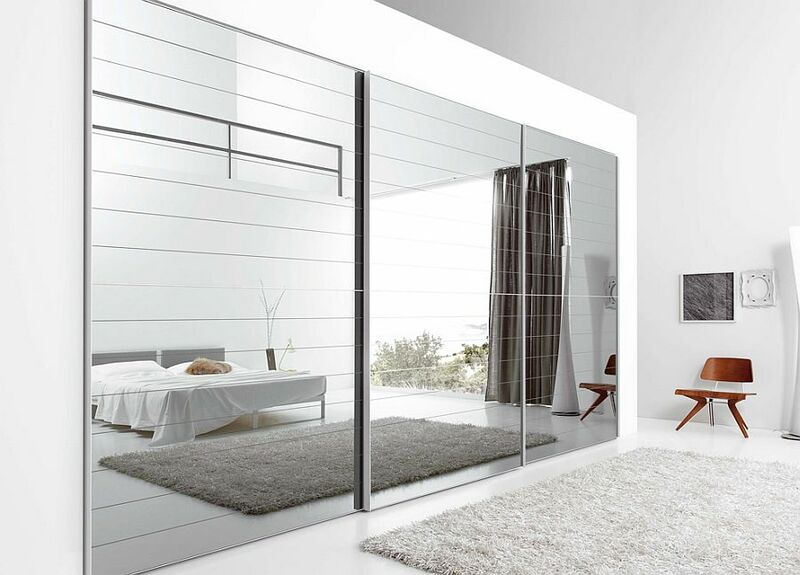 Without a doubt, a door-sized piece of reflective glass is a necessity. 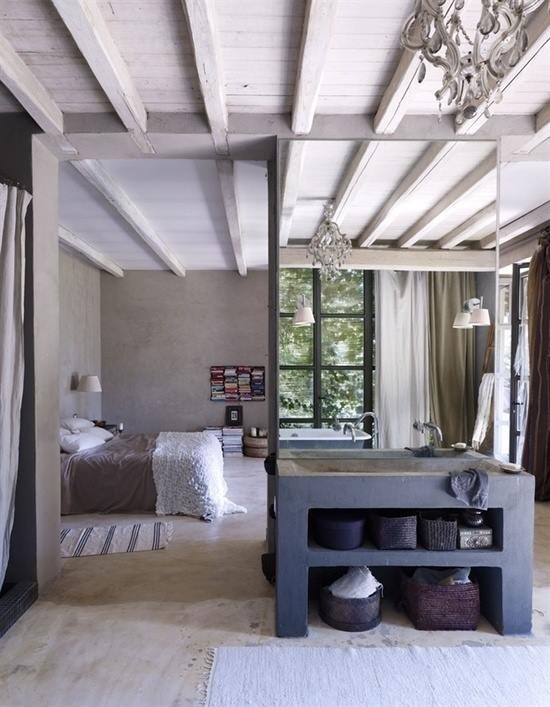 When visiting a friend’s place, nothing catches your eye like that full-body mirror by the doorway. 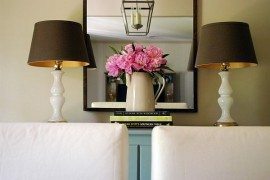 Now, it could be because you are admiring your slender physique and/or your gorgeous features, but chances are you are noticing an eye-catching object in the home. 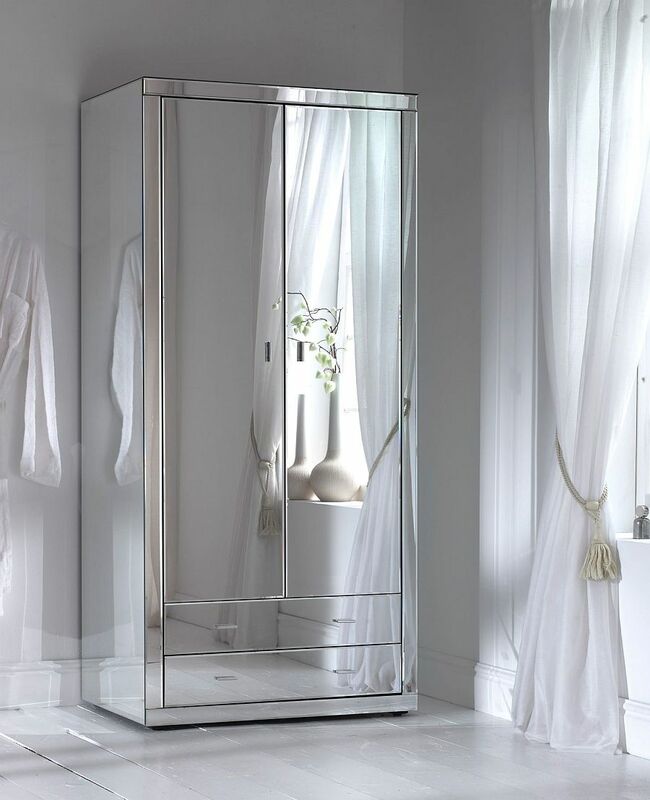 Call me narcissistic, but I sure love a mirror that can capture me at my best! 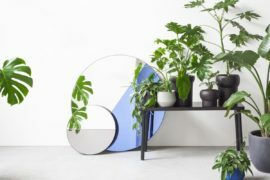 Positioning the mirror in a spot that doesn’t get in the way of daily functions but can be easily accessed is one thing you need to think long and hard about. If you are running out of style ideas or are stumped on where to place your newly purchased hunk of glass, below are some home decor masterpieces. Find one to your liking, and model your home after it! 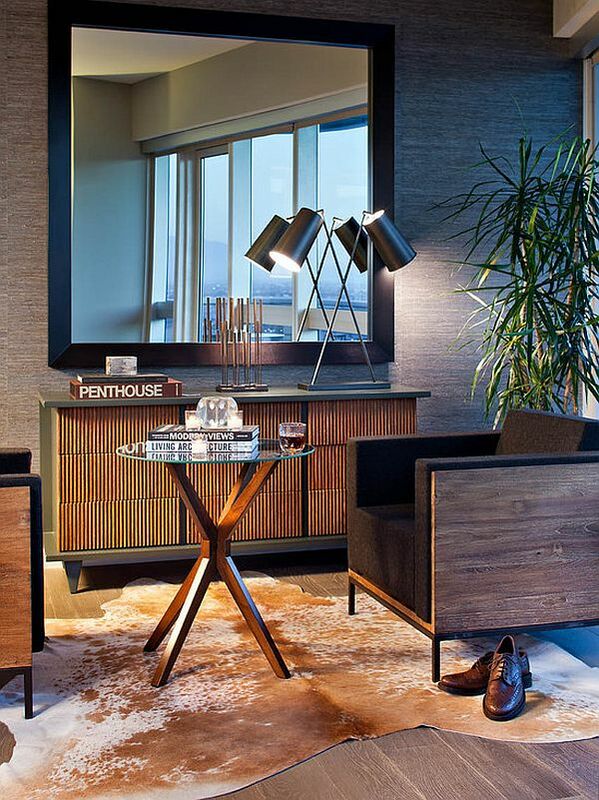 For this style guide, let’s start from the grand entrance. 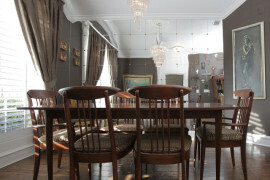 The living room is a place where you will be entertaining guests, family and friends in every kind of occasion. You want to expand your living room without the added costs and extra stress that goes into home renovation. The good thing about mirrors is that they can open the available space and give the illusion of a more expansive setting without changing a single thing. 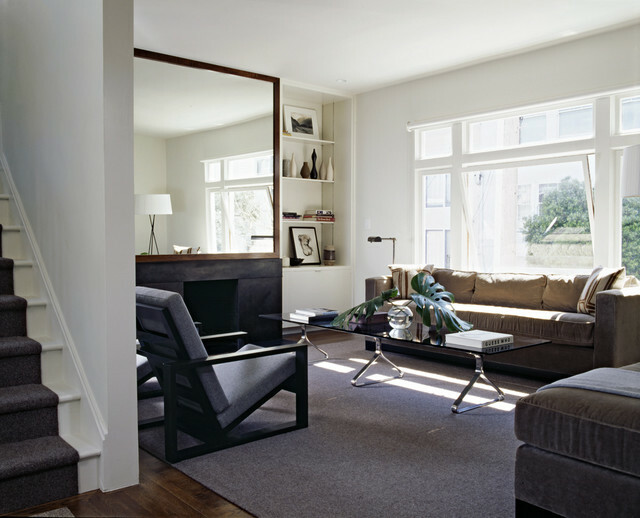 Look how elegant and lively a living room can be when a stagnant wall is transformed into a reflective pool of wonder. 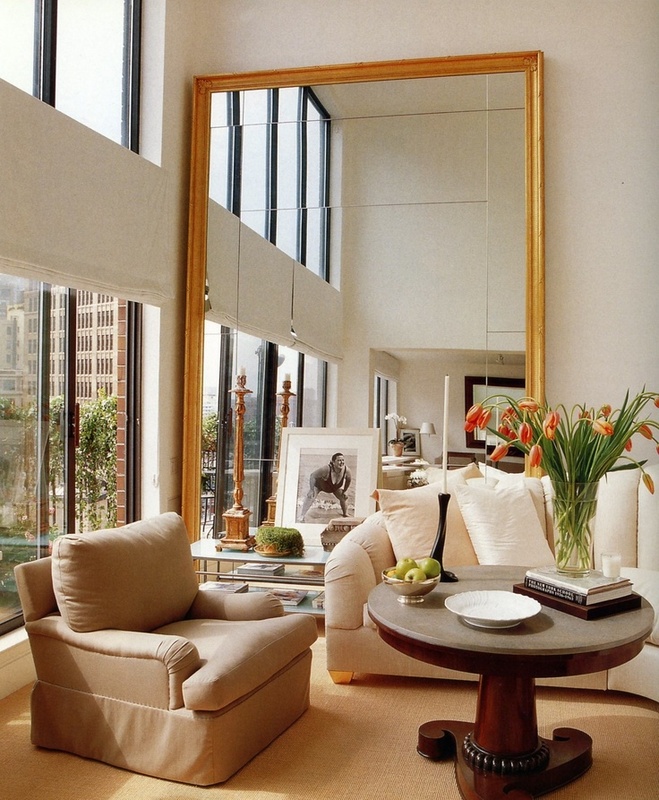 Many homes have been adopting this approach, especially homes that are smaller in dimension. Take a look. 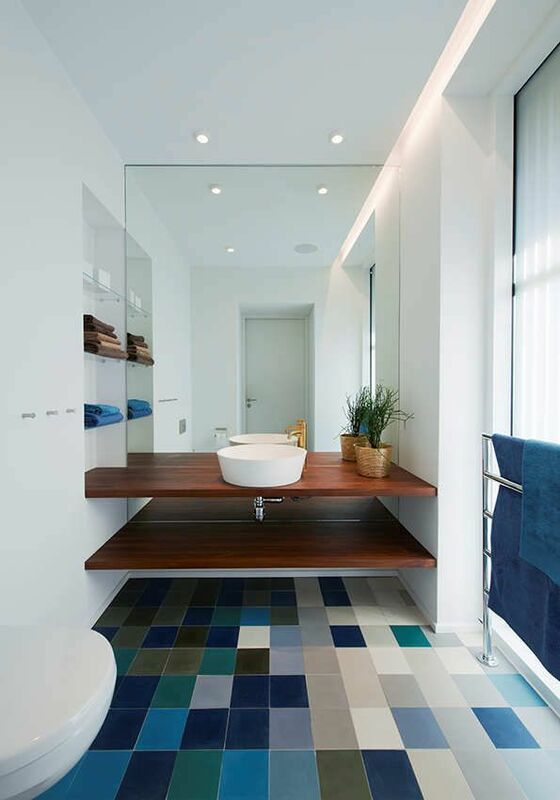 Of course, if your home is spacious enough for you to play around with ideas, then by all means go for it. 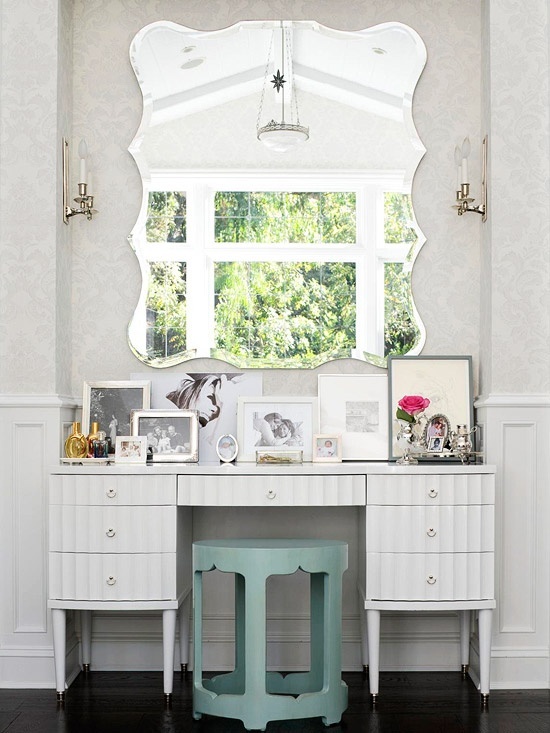 Look how the floor-to-ceiling mirror adds character to an already gorgeous common area. 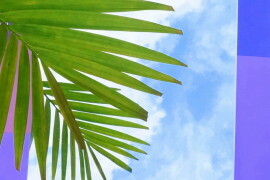 Wouldn’t you love to recline with a book and bathe in the warmth of the sun? If you haven’t heard, our appetite is partially dependent on our surroundings. Think about it–was there ever a time when you walked down an alley and got a whiff of something nose-scrunching. or have you been to some filthy, cockroach-infested kitchen that made your hunger level take a dramatic plunge? What about those times when you walked into a refreshing dining venue and your hunger peaks at the sight of the dessert platter across the table from you? If you recall these events, then you understand just how important it is to dine in an uplifting setting. Turn your dining room into a house of mirrors and find yourself surrounded by mouthwatering food – even though some might just be a reflection. 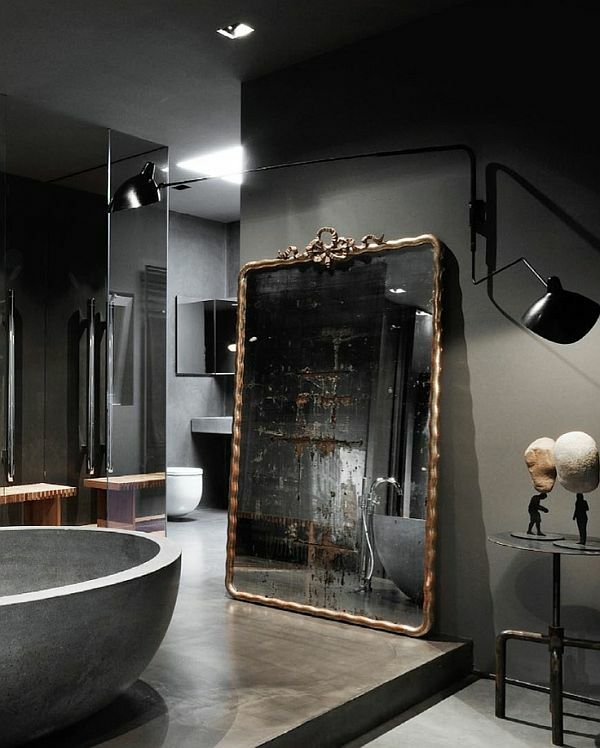 La salle de bain – aka bathroom – is the place to go crazy with mirrors. 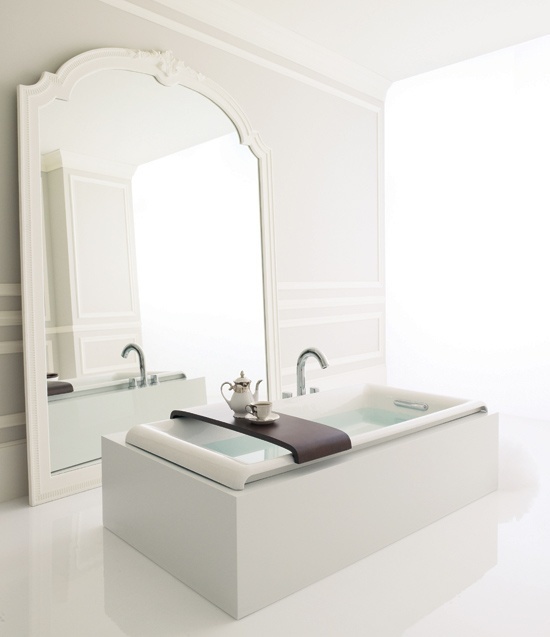 The edgy contours of frameless mirrors make bath time very fashionable. Depending on your preference, you can go either way: chic and modern or country sweetheart. 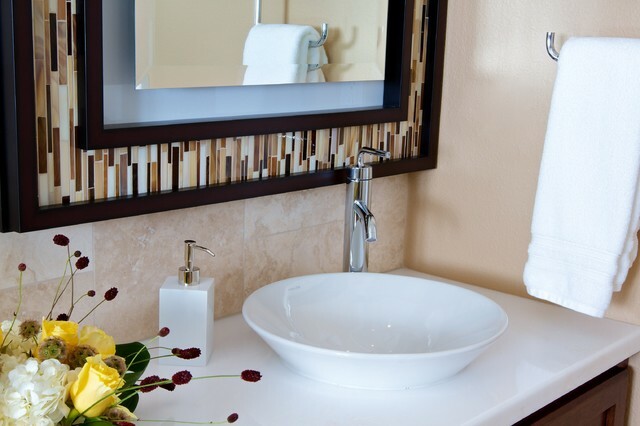 Here are some bathroom mirror favorites. Which one do you like best? Look what a little tile color change can do to the overall presentation! 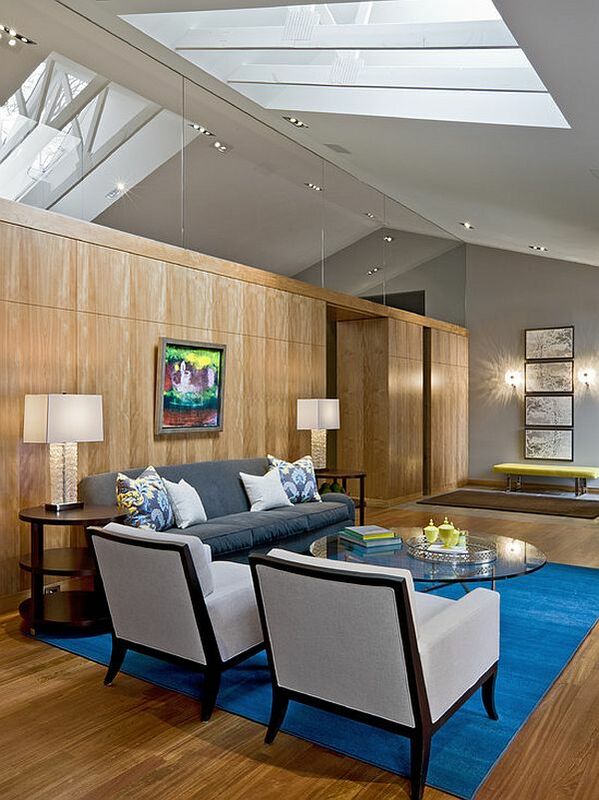 The various shades of blue mimic the sparkling beauty of water, curating a refreshing and soothing atmosphere. 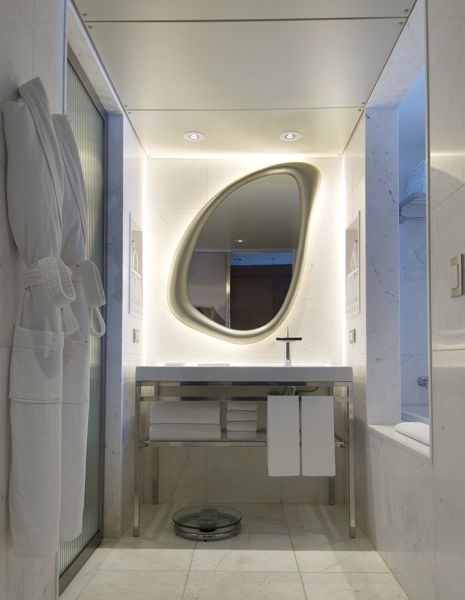 Some bathrooms will work well with just a single mirror. 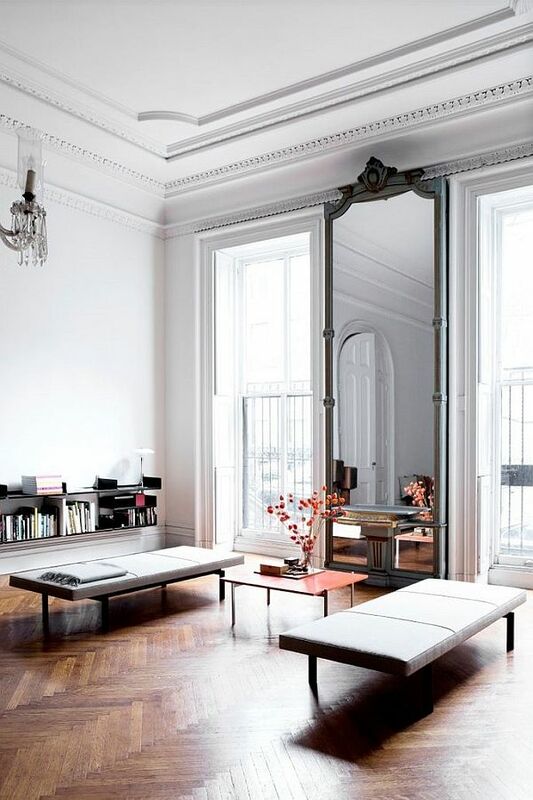 While the idea of having a full-length mirror is very captivating, smaller accents can sometimes get the job done just as nicely. 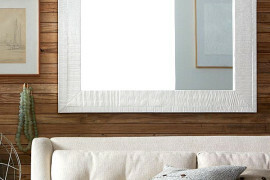 Last but certainly not least, the bedroom will benefit from a mirror display in three ways. 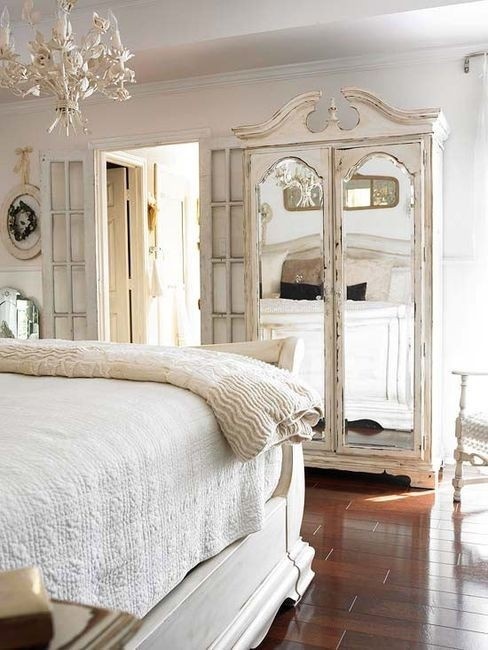 One, the bedroom will catch more light and reflect more charisma. 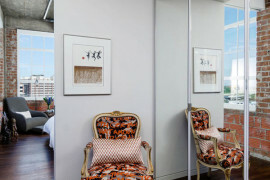 The way you carefully designed your room will be reflected back to you in a different perspective, letting you appreciate the fruits of your labor even more. Two, the level of energy will be enhanced, but at the same time, it will be mellowed out to encompass a more serene ambiance. Three, you get to see yourself every moment you walk by the bed – need I say more? It really depends on what type of style you are going for. 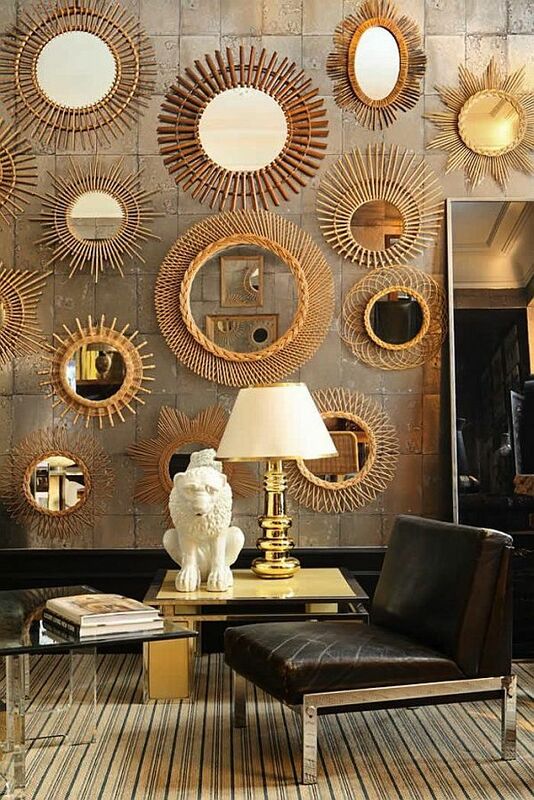 Mirrors can be dark and add mystery, but they can just as easily uplift and introduce a a bubbly flair. 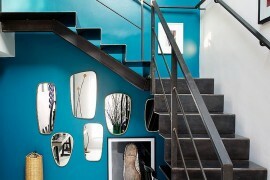 Who said mirrors can’t be used for something other than a reflective sheet of sparkle? 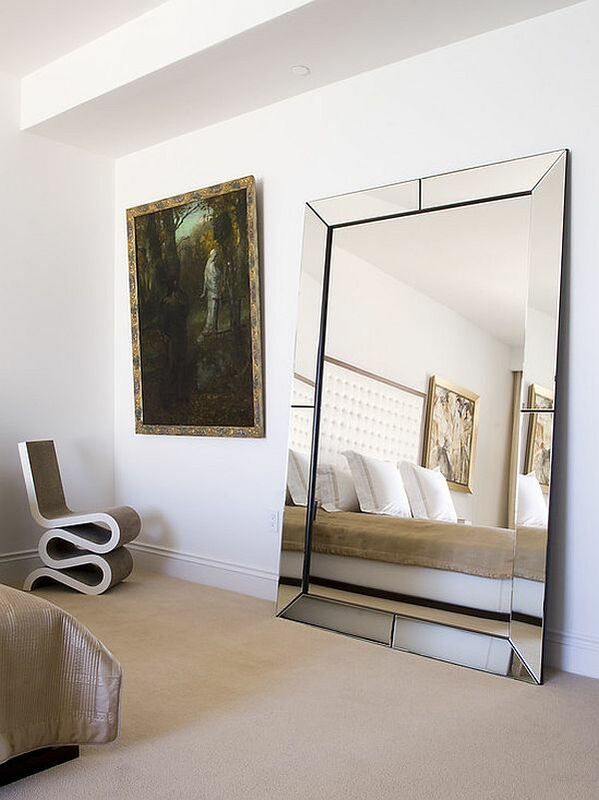 A mirror-faced closet could be an interesting addition to your bedroom.